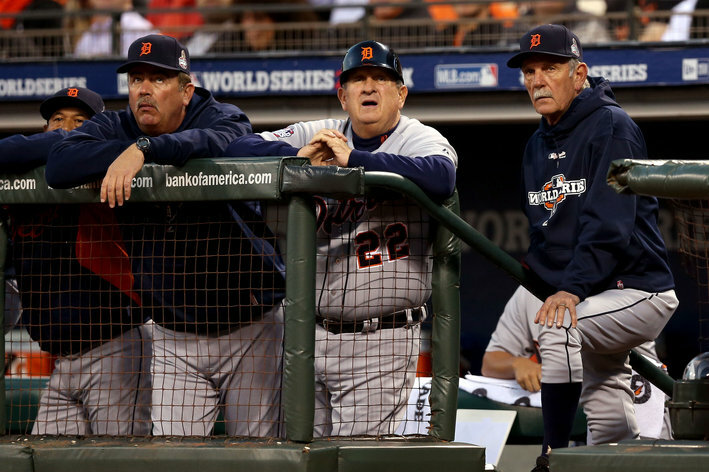 I love me some Boston Red Sox, but I must admit I just cannot get enough of the Detroit Tigers coaching staff. I mean, look at them. Yeah, yeah, yeah, calm down already. I know Jim Leyland’s the gen-u-INE article, a real old time baseball man. And I’d be lying if I said I’m not a tad concerned that his pitching staff is going to pants my Red Sox hitters while the Detroit line-up administers a collective swirlie to Lester and company; however, I feel I must point something out. The Detroit coaches, to a man, look like those guys you see sitting at the bar every afternoon down at the Blarney Rose knocking back Falstaffs and bumps, sucking on Lucky Strikes and mopping up plates of greasy corned beef and cabbage with wads of Wonderbread. Not that there’s anything wrong with that. Game 3 in the Motor City on Tuesday. 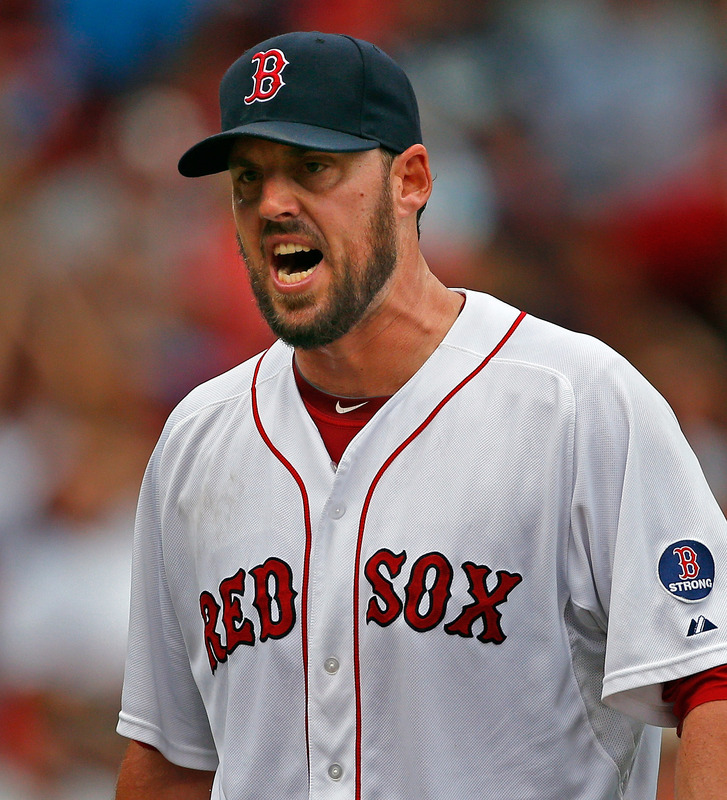 In Lackey (and the bullpen) we trust. Go Sox! Posted on October 14, 2013, in Sports and tagged American League Championship Series, Blarney Rose, Boston Red Sox, corned beef and cabbage, Detroit, Detroit Tigers, Falstaff beer, Jim Leyland, John Lester, Lucky Strikes, old man bars, Red Sox, Yeah. Bookmark the permalink. 18 Comments. You’re a Red Sox fan in NY? You’re a much braver woman than I thought, Wendie. Being a Sox fan in NYC is not for sissies. You are right about that. I thought you were back in the US? Perhaps your blog should feature a Susan Locator to help us keep track of your perambulations. Falstaff is a local beer indigenous to the Northeast, a bump is a shot of whiskey. Wendie, don’t give up. As a dual Mets and Sox fan I’ve felt the elation of making it to the post season and the agony of following a team that not only resided in the NL East cellar but paneled and carpeted it. Go Sox and knock a Narragansett back for me. Oh the joys of the Nasty-gansett. Haven’t seen one since college, but I definitely knocked a few back — I believe you could get them for 50 cents a can at better house parties back int he day. Survived on GIQ’s when I was underage. 85 cents plus 5 cents deposit. One got you a good buzz, after two you could conquer the world. Aaah sobriety. I wouldn’t mess with that bunch for sure!! It was either the high point of the season, or just another bend in the road to the Series. Hard to know which way it’ll go. Live in the moment lady. And may I add, thank God we can have a few days on prime time looking at Baseball instead of football! I’m happy with either, but I especially love this, the magic time in the sporting year. All four major sports are going at once if you count pre-season basketball, which I do. Wretched excess is a wonderful thing. The Sox certainly made a great comeback last night! I am obliged to say Go Tigers.